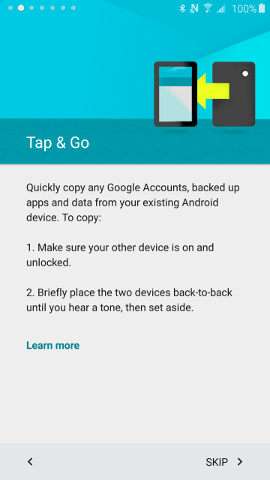 How to transfer data from Google Account on another NFC-compatible device to new device? 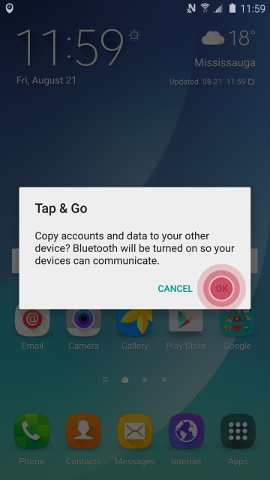 Use the Tap & Go feature to effortlessly transfer your Google Account, backed-up applications, and data from an old Android™ device to your new device. The Tap & Go feature is part of the initial setup process that runs when you turn on your device for the first time. Important: You cannot return to Tap & Go if you elect to skip this step while completing your device setup. Note: Although the Tap & Go feature works using the Bluetooth® feature, we recommend that you turn on Wi-Fi®. Before beginning the setup process on your new device, ensure that the NFC feature on your old device is turned on and the device is unlocked. 1. 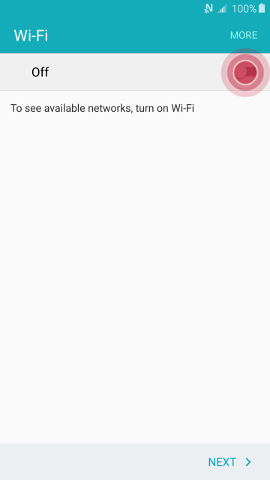 Turn on your new device and follow the setup prompts until you reach the Wi-Fi screen. If necessary, touch the slider to turn Wi-Fi on . 2. 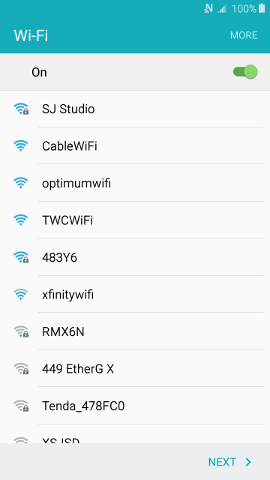 Select your desired Wi-Fi network and enter the password, if necessary. Touch CONNECT. 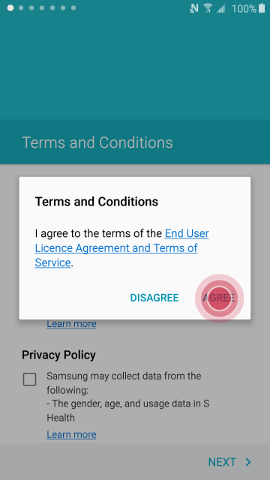 3. Review the Terms and conditions, touch NEXT, and touch AGREE. 4. When you reach the Tap & Go screen, briefly place the two devices back-to-back. Separate the devices when you hear a tone or feel a vibration. 5. When prompted, touch OK on your old device. 6. The process may take a few minutes while your new device copies backed-up accounts and information from your old device. 7. When prompted, enter your Google password on your new device and touch Sign in. 8. Review the Google services terms and privacy policies, touch MORE, and then touch NEXT. 9. Complete the setup process. The process may take a few minutes while your new device restores accounts and downloads previously installed applications. [Galaxy S6 Edge+] Is there any SD Card slot? Where is it? 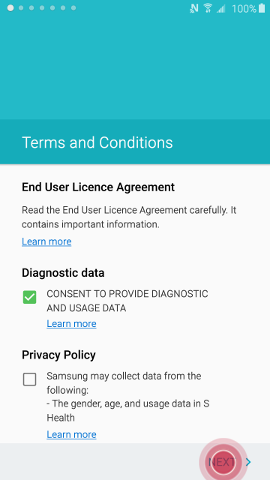 How do I Uninstall or Disable an Application from my Samsung Galaxy Note 3? How can I transfer my data from iCloud to Samsung device with Smart Switch mobile app?